There’s the Revolution Museum for Design and Architecture by Christian de Portzamparc (who designed Cité de la Musique in Paris), the Revolution Museum for Visual Arts by Jean Nouvel (who designed the Louvre Abu Dhabi), the Revolution Museum for Art and Technology by US-based Philip Johnson/Alan Ritchie Architects, and the Revolution Museum for Performing Arts by Japan's Tange Associates. Robbie Antonio, an avid art collector and founder and CEO of Revolution Pre-crafted—a start-up for prefabricated designer homes—is the mastermind behind the US$1.1 billion project, which he calls "the world’s first live-in art park". “For Batulao Artscapes, I was inspired by Naoshima which, in my opinion, is one of the most remarkable art and architecture destinations in the world,” he says, referring to the island in Japan known for its contemporary art museums, mostly designed by another Pritzker Prize-winning architect, Tadao Ando. Another major attraction of Batulao Artscapes is its residential offerings. 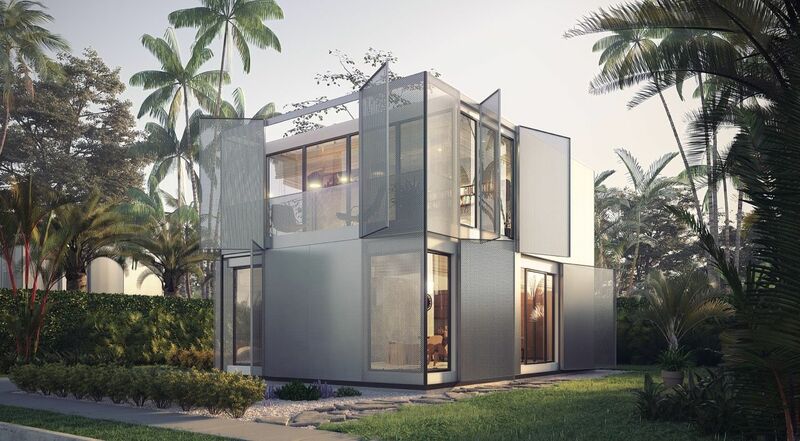 Those looking for chic weekend retreats or retirement properties can consider prefab designer homes by Berlin’s Studio Libeskind, French-Brazilian architect Elizabeth de Portzamparc, Pelli Clarke Pelli, LA-based Marmol Radziner, style icon Daphne Guinness and even rock star Lenny Kravitz. Plans also include sports facilities, a floating chapel, and a man-made lake and beach. Antonio's idea for Revolution Pre-crafted, the Philippines' first unicorn startup, came about after he commissioned renowned Dutch architect Rem Koolhaas to design his home in the Philippines. He realised there was a wealth of opportunity in working with award-winning architects to create upscale, yet easily accessible living and commercial spaces, similar to how high street brands were collaborating with high fashion designers. By this time, he had amassed quite an art collection, including works by Francis Bacon and Jeff Koons, even commissioning portraits from Julian Schnabel, Damien Hirst, Takashi Murakami, and David Salle. In the last two years, Antonio has made “prefabricated” a real buzzword in the property development arena. Since he started Revolution Pre-crafted in 2015, Antonio has made headlines by successfully enlisting more than 30 of the world’s star architects—including Marcel Wanders and Zaha Hadid Architects—to work on his ambitious prefab projects, ranging from cutting-edge homes to pavilions, pop-ups, and restaurants. With the first phase of Batulao Artscapes underway, Antonio’s team hopes to get at least two of the museums open by the time Art Basel Hong Kong comes around in 2019. Mount Batulao, famous for its easy hiking trails and breathtaking views, is a 90-minute drive Manila, and a stone's throw from Tagaytay, a popular weekend getaway. See also: Can ARTISAN HOUSE Make Sai Ying Pun The Next Brooklyn?